At the TLC Greensboro Laser Eye Surgery Center, we are proud to offer you a premium LASIK experience at affordable prices. 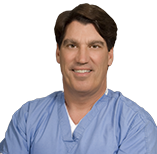 Our TLC Greensboro LASIK surgeon Dr. Karl Stonecipher has practiced ophthalmology in North Carolina for more than a decade and has performed more than 65,000 LASIK procedures and has written over 100 abstracts, articles, and book chapters nationally and internationally. During your free laser eye surgery consultation our team will give you an in-depth eye exam and help to create a customized LASIK plan for your procedure day. They will take the time to answer all of your questions and help to set your mind at ease. It is important to do your research on LASIK, and our team will explain all the laser eye surgery options available to you based on your exam. Let us show you the TLC difference! Schedule a Free LASIK Consultation in Greensboro today! Dr. Angela Martinek grew up in Greensboro, NC. She received her Bachelor of Science degree in Zoology from North Carolina State University. She attended Illinois College of Optometry in Chicago where she received her Doctor of Optometry. She and her husband, Dr. Timothy Koop, own Triad Eye Center. Dr. Erin A. Jackson was born and raised in Burlington, NC. She completed her undergraduate work from North Carolina State University. From there she went on to achieve her Doctor of Optometry degree, graduating with honors from the Southern College of Optometry in Memphis, TN. Dr. Gray Friedrichs received his undergraduate degree from Bridgewater College and his Doctor of Optometry degree from Southern College of Optometry. He is a member of the American Optometric Association. Dr. Koop earned his Doctor of Optometry degree from the Illinois College of Optometry. Prior to this, he attended Calvin College in Grand Rapids, Michigan for his undergraduate studies. 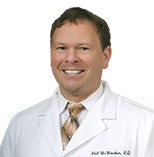 In 2003 he and his wife, Dr. Angela Martinek, purchased the Greensboro practice and named it Triad Eye Care. Dr. Johnson graduated from the University of North Carolina at Chapel Hill and received her optometric degree from Southern College of Optometry in Memphis, Tennessee. She is a member of the American Optometric Association and Winston-Salem Optometric Society. Dr. Cathy Fulp is a native of Clemson,SC. She earned her Bachelor of Science degree from Clemson University and graduated from University of Alabama at Birmingham School of Optometry in 1990. She joined Triad Eye Associates in 2005. She is a member of the American Optometric Association. Dr. Christine Cook has been a TLC affiliate for 13 years. She provides primary eye care and specialty contact lenses in addition to refractive surgery options. Dr. Cook participates in FDA studies related to contact lenses and pharmaceuticals. In her spare time, she enjoys horse back riding. Dr. Tarr, a native of Yadkin County, graduated from Wofford College in Spartanburg, SC where he played varsity basketball. He received his optometric degree from the Pennsylvania College of Optometry in Philadelphia. He is a member of the American Optometric Association.